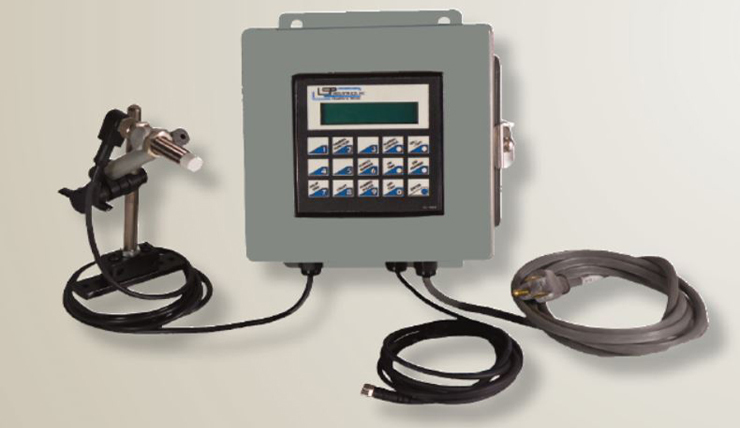 MinaMizer | LSP Industries, Inc.
Reduce cost by using less fluids. The MinaMizer is aptly named because it minimizes the amount of air and fluid used in continuous or pulsating fine spray low volume applications. The MinaMizer system is sophisticated enough to dispense the least amount of fluid necessary accomplish the right amount of coverage for a particular application. Using excess fluid accomplishes nothing except an increase in material cost, part cleanup cost and machine cleanup cost. Available with either manual or computer controls. When the MinaMizer is activated a low volume with a low pressure air assist allows the fluid to be dispensed in a light coating from one to six nozzles. All the nozzles, activate in unison but can be adjusted to dispense different set volumes of fluid. 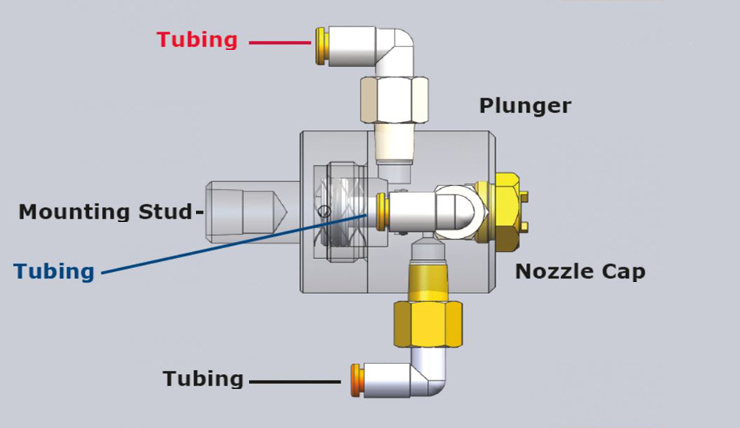 Nozzles can dispense fluid continuously or in an On/Off mode as directed by a LSP Electronic Controller. 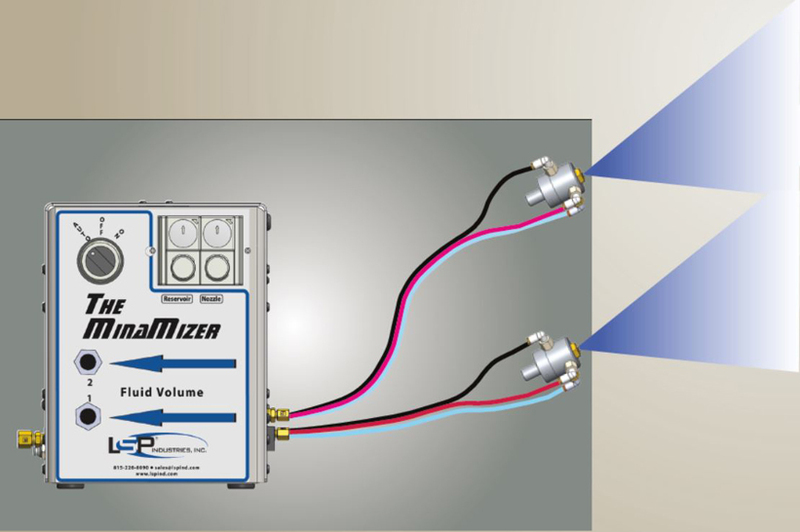 The MinaMizer controls fluid with precision air and fluid regulators that hold true to their settings. 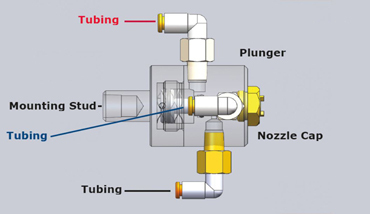 Micrometer type needle valves control the fluid volume out of the nozzle tip. The MinaMizer dispenses fluid in a controlled, low volume, low velocity spray, consistently and in a steady dispersion. 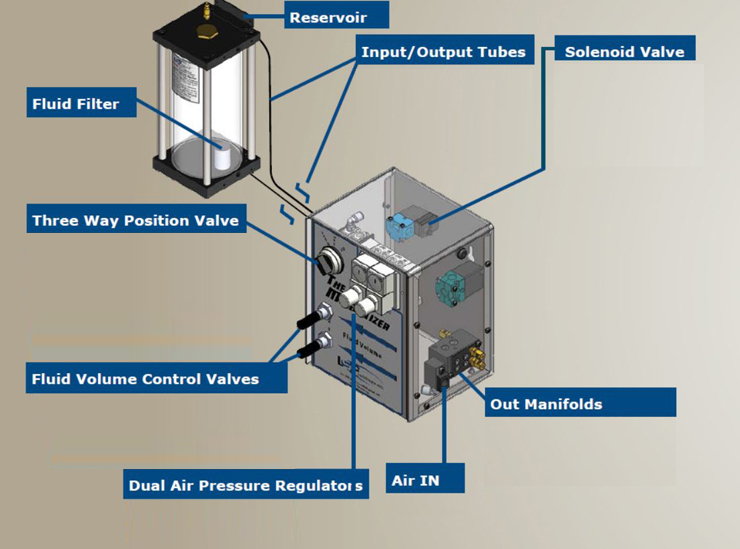 The MinaMizer consists of the Control Cabinet, pressurized Reservoir and precision Nozzle Assemblies. It can be operated manually with the Three Way Valve. When turned to the ON position adjustments can be made to get the correct spray pattern. The ultimate MinaMizer Controller offers three individual controls, a Time Delay, a Pulsator and a Counter. 1. Time Delay: Controls when the MinaMizer dispenses fluid after it receives a signal from the Proximity Sensor. 2. Pulsator: Program to deliver multiple sprays of fluid on each cycle. 3. Counter: Set the controller to dispense fluid on a set count. 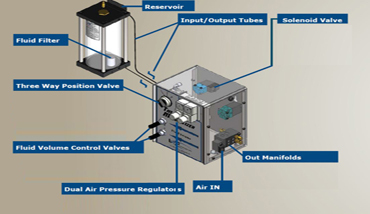 The MinaMizer uses precision air and fluid regulators that hold true to their settings to maintain the fluid and air pressures being dispensed out the nozzles. When the MinaMizer is activated a low pressure air assist allows the fluid to be dispensed in a light coating from a single or multiple nozzles.